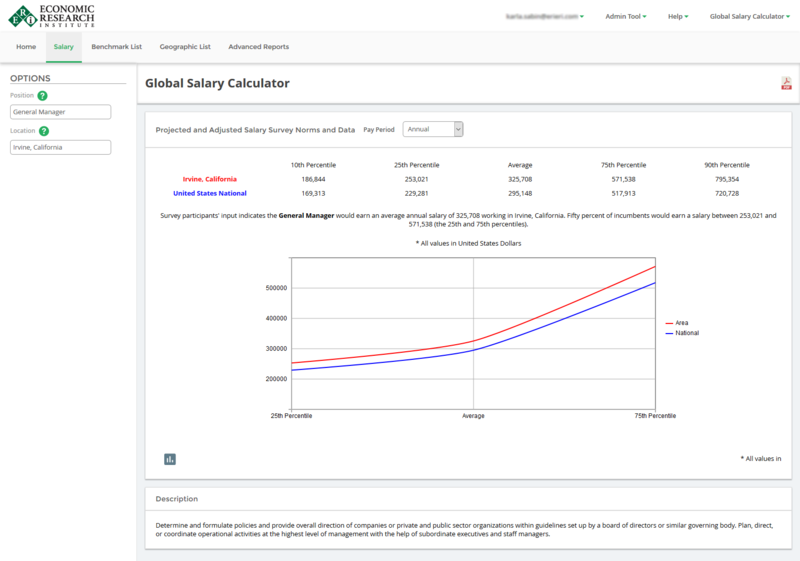 ERI's Global Salary Calculator equips users to instantly compare global salary data anytime online, assess pay equity and competitive pay for job positions thoughout the world. Streamline your human resource management, workforce development and salary planning process. 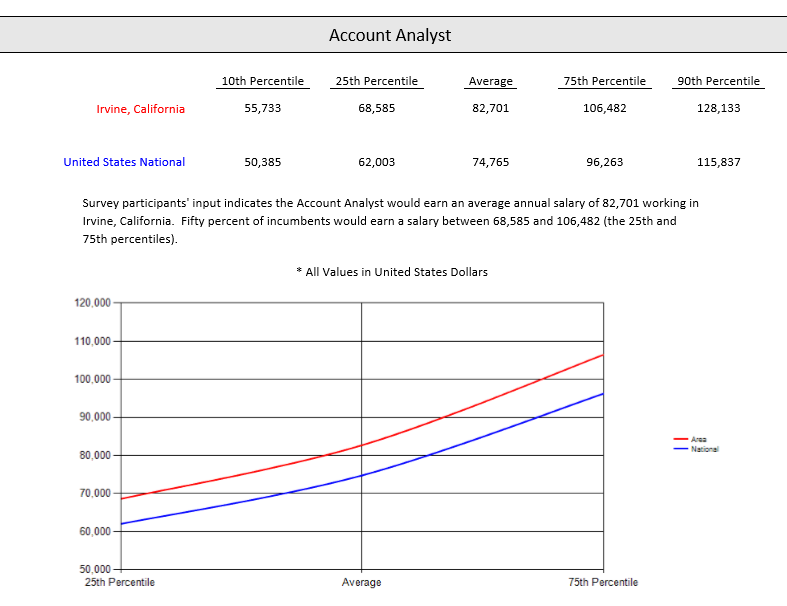 Analyze salary ranges, including the average and 10th, 25th, 75th and 90th percentiles for positions worldwide. 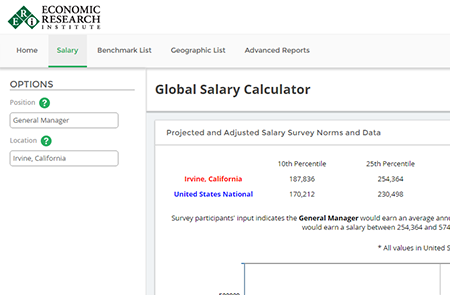 Salary data is presented in local currencies and updated daily. Detailed job descriptions are provided for each title to make it easy to select positions to analyze. 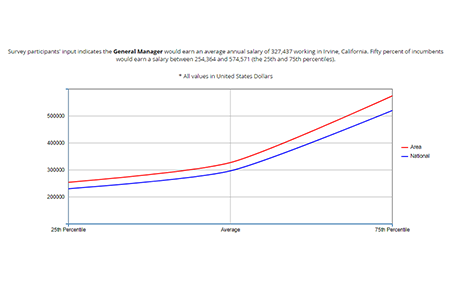 Easy-to-read graphs illustrate comparisons between salary ranges for the selected area and national average. Generate detailed PDF and Excel reports for additional analysis and to share with colleagues. Import and save lists of jobs and locations to quickly retrieve related data.